Kenwood were called to end of terrace property following a home buyer’s survey which flagged up a damp problem. 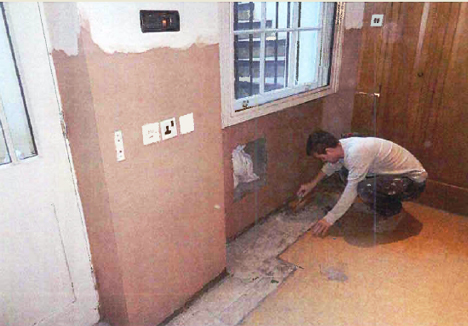 A defect in the damp proof course was found within the front and back walls of the open plan lounge area. This property was built in the 1900’s and at this time the most common damp proof course was slate. Slate works well as it is impervious to moisture, however over time slight movements within the property can cause this slate to crack. Once cracked ground moisture can ‘rise up’ and cause dampness. To rectify this defect we have injected a new chemical damp proof course into the brickwork. With the new damp proof course in place our client can move into their damp free family home.